Be a part of it. Be proud of it. 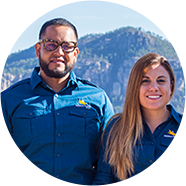 When you join Agnico Eagle, you become part of a family who shares common goals and values. 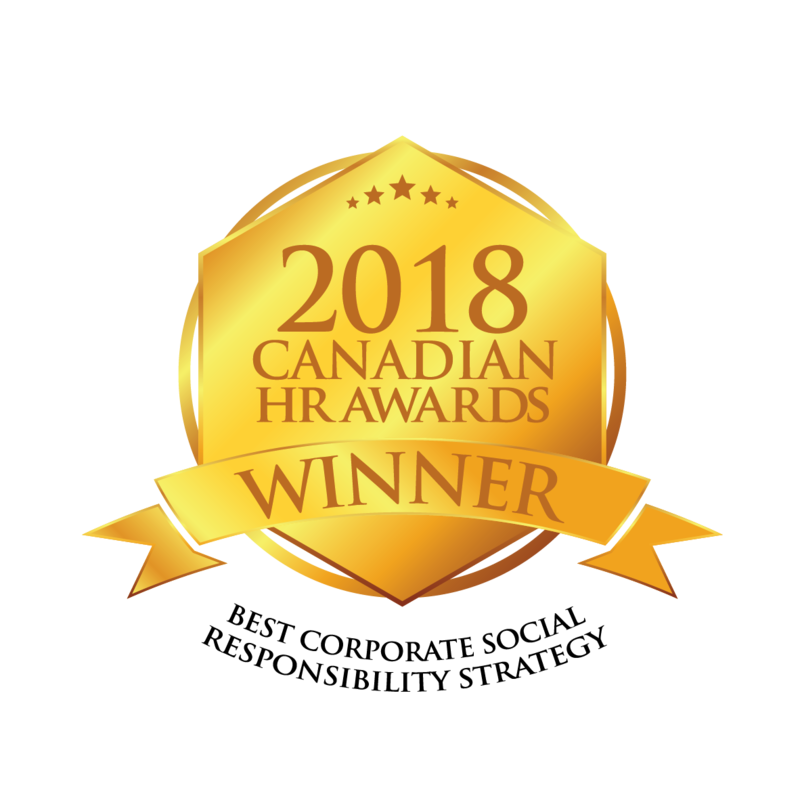 You join a workplace that fosters collaboration and respect, encourages healthy debate, and celebrates success as a team. Agnico Eagle is a global leader in the gold mining business, with eight mines located in Canada, Finland and Mexico. Everywhere we operate, we strive to be an admired member of the community and to be recognized as both a good employer and a good neighbour. 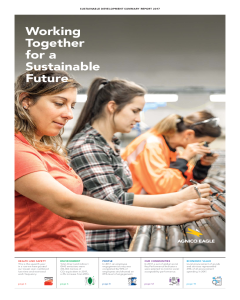 We are proud of our reputation as a leader in safety and sustainability, as well as the prosperity we bring to our employees, their families and the communities in which we operate. We employ over 7,800 people, offering them new roles, new challenges and unique assignments in exploration, development and operations. We have some of the most skilled teams of professionals in the industry and we recognize that our people are the key to our success. Even as our company grows and expands around the globe, our goals and values don’t change. We believe in family, authenticity and simplicity. We run an easy to understand business that is committed to delivering high quality growth and maintaining high standards in health, safety, environment and community development. We offer graduate, co-op and intern positions to a wide range of talented students to start their career with us. Working for Agnico Eagle, you will be encouraged to work collaboratively with colleagues from across our organization. Our goal is to maintain a safe, healthy and engaging workplace that is based on trust, respect, equality, family and responsibility. We believe this approach helps us attract and retain the best people to respond to the technical, environmental and reputational challenges we face as we expand worldwide. At Agnico Eagle, we are defined by our core values of trust, respect, equality, family and responsibility. These values express who we are and guide us in everything we do. They are a link to our history, central to our culture and an essential element of our success. We trust each other to use our skills, knowledge and experience to achieve the best results for each of us: for our co-workers, communities, shareholders and for our Company. We rely on one another to get the job done, to operate safely and to meet our commitments to those who depend on us. We believe that respect is earned through action and not simply given. We treat people with respect, and we work hard to make sure that we are always worthy of respect. Everywhere we operate, we strive to be an admired member of the community and to be recognized as both a good employer and a good neighbour. At Agnico Eagle, we all wear the same colour hats. We’re on the same team and treat each other equally, fairly and consistently, with equal access to opportunity and recognition, in all of our regions and at every level of our Company. Agnico Eagle is like a family. We’re a company of first names and open doors. We know that the well-being of their families is essential to the well-being of our employees, and that it contributes to stronger, happier communities, which makes us a better company. We are responsible and accountable. If we make a mistake, we admit it and learn from it. We seek to lead by example and to set the standard for corporate responsibility. 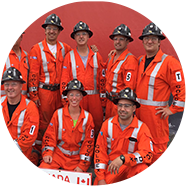 We acknowledge – and act upon – our responsibility for the safety of our employees, for our long-term impact on communities and the environment, for operating with complete transparency and for meeting our commitments to our shareholders. The best way to get to know Agnico Eagle – our values and our culture – is to know our people. Every day, over 7,800 employees help us to achieve our goal of pursuing progressive, responsible and sustainable growth. Of the thousands of people working on behalf of Agnico Eagle, we asked three to tell us why they are proud to be part of the Agnico Eagle team. Our goal is to maintain a safe, healthy and engaging workplace that is based on trust, respect, equality, family and responsibility. We believe this approach helps us attract and retain the best people to respond to the technical, environmental and reputational challenges we face as we expand worldwide. Our employees constantly demonstrate sustainability leadership and innovation in the workplace, ensuring we operate in a safe, socially and environmentally responsible manner. 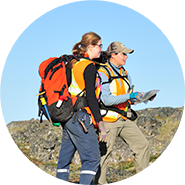 Want to learn more about the jobs and skills training we offer in Canada’s Arctic, how we are engaging with local communities in Mexico, or our strategy to advance our water and tailings management program in Finland? Check out our 2017 Sustainable Development Summary Report and our Sustainable Development Policy below.